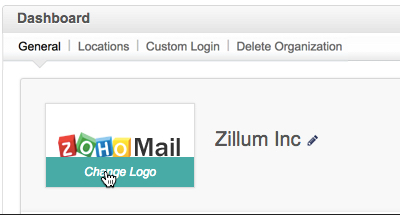 The administrator can configure Custom Login URL for the organization members to remember and access Zoho Mail easily. The users will be able to use the URL mail.yourdomain.com to login to their respective email accounts. 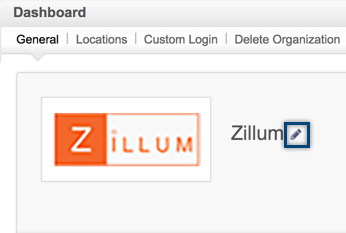 You can access the Custom Login from the Control Panel of the Organization Admin account. Navigate to the Control Panel Dashboard and click on the Custom Login. To configure the Custom Login URL, there are two steps involved. 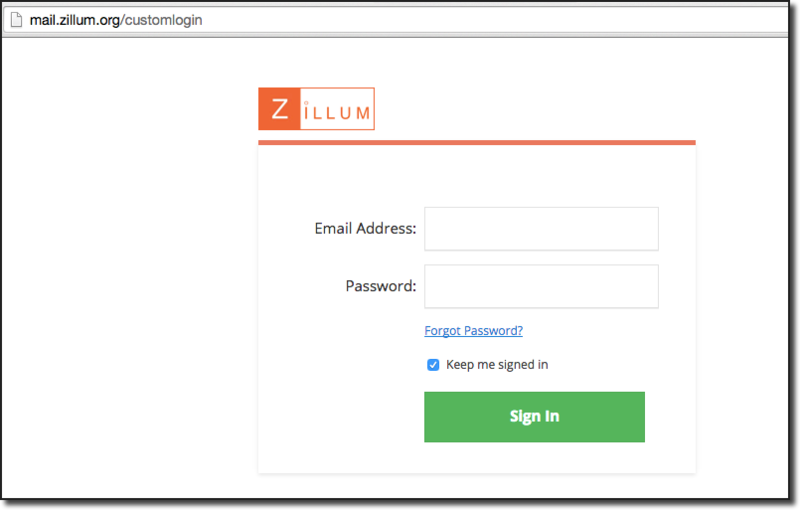 Once the CNAME alias points to business.zoho.eu, accessing the URL mail.yourdomain.com will launch the custom Login page directly. If you have already added the Custom Logo, the login page will automatically display it. Login to your domain's DNS Manager. In the DNS Manager page, follow the instructions to add a CNAME. The hostname or subdomain should be pointed to business.zoho.eu. Ideally the following settings needs to be used. The terminology may differ according to your domain's DNS provider. Zoho Mail supports https for accessing your email accounts for better security. Hence after you login to the account using the Custom URL, all the internal pages will be redirected to the Zoho Mail URL and will not have custom domain support. Supported Image File Types: jpg, gif, png. jpeg. The administrator needs to download and save the Logo image to the system. In the Dashboard, hover the mouse over the logo and select 'Change Logo' to browse and upload the Logo image saved in the system. Once saved, the Logo will be displayed in the dashboard. The logo will also appear in the custom Login page and the webmail page for all the users in the organization. Generally, if you don't edit the name of the organization after creating the organization account, the domain name gets added as the name of the organization. The Super Administrator can change the name of the organization from the control panel dashboard. You can add different work locations to your organization. 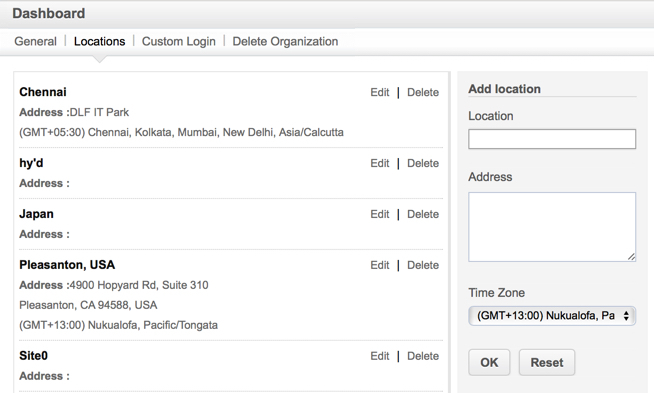 After adding the user, the respective location can be mapped to each user from the 'User Details' menu. Only the Super Administrators and Administrators can add and map the locations. Select the relevant location to apply it to the chosen users. You can choose whether you want to provide Federated Sign In for your custom login page or not. The Control Panel settings page opens up. Click on the Dashboard option on the left menu. Click on the Custom login tab. Using the Federated Sign In toggle on the right side of the page, choose to turn ON or OFF the Federated Sign In option for your login page.